Legendary rapper Neneh Cherry will play Edinburgh International Festival this summer. PIC: Contributed. Rap legend Neneh Cherry will bring her three-decade back catalogue to the capital this summer with her debut Edinburgh International Festival show. The singer, whose track Buffalo Stance catapulted her to international stardom in 1989, will perform at Leith Theatre on August 10. Her classic debut album Raw Like Sushi fused elements from rap, pop, trip-hop, dance and R&B with remixed synths and drum machines. Her single Buffalo Stance earned her a Brit Award for International Solo Artist with Cherry melting down her gold statuette and turning it into jewellery. Her fifth solo album Broken Politics, released in 2018 and produced by Four Tet, took a lo-fi approach to her sound and signalled a fresh direction for the ever-changing artist. 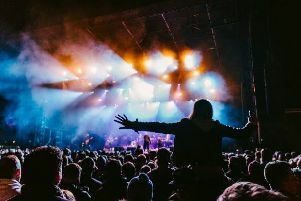 Cherry’s is among a number of contemporary musicians to appear at this year’s International Festival with Jarvis Cocker, Kate Tempest, Teenage Fanclub and Connan Mockasin among others to perform.